What do you do when your mate is a cruel and merciless Alpha? Easy. 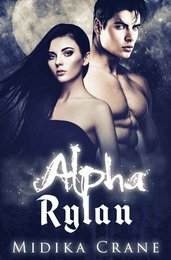 You run… Dawn has been rogue for over a year, hiding from her mate; Alpha Rylan. Being the leader of the Purity Pack has not stopped him from leading needless executions, making countless threats and chasing after Dawn relentlessly. Using simple tricks, he lures his mate closer, until her criminal past attracts an Alpha who wants her dead. Can Rylan protect his mate from vengeance, while at the same time keeping her under his control? And can Dawn keep her packs morals of purity, and resist Rylan, staying his personal fugitive forever?